Home / Our People / Faculty / Radio, Television, and Digital Media / Sarah Lewison M.F.A. Associate Professor Sarah Lewison is a media producer, artist, and writer whose work examines power, economics and political subjectivity. 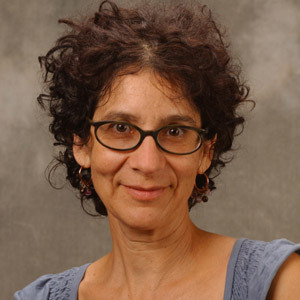 Her teaching and research areas include media and social change, ecological pedagogy and experimental performance. Her video work includes the documentary Fat of the Land which screened on PBS and in museums, festivals and community spaces worldwide, and is nationally noted for stimulating the do-it-yourself waste-grease bio-diesel movement. Prof. Lewison's writing about media aesthetics, social history, sustainability and culture has been published in Tema (Denmark), Journal of Northeast Studies (Hamburg, Germany), Area (Chicago), and "Failure! Experiments in Aesthetics and Social Practices" (Aesthetics and Protest Pub., LA). She holds a Master of Fine Arts degree from University of California San Diego. Video, social movements, environmental media, installation, live art and performance.